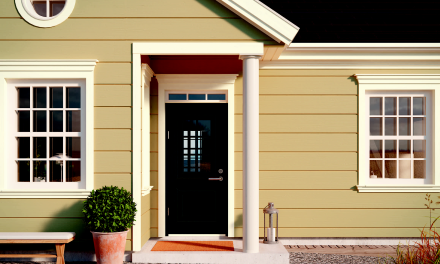 Moelven Töreboda has been around since 1919 and is today one of Europe's leading manufacturers of laminated timber. Besides the production of standard and special beams, the company offers total solutions for example for arenas, halls, bridges and multi-storey wooden houses. The company is part of the Moelven Group, a Scandinavian industrial group that manufactures building products and systems for the construction industry. The Group has production facilities in 50 locations and employs 3,400 people. Moelven Töreboda has annual sales of approximately SEK 275 million and about 120 employees. Building small wooden houses – churches and homes – is a long-standing tradition in Sweden dating back several hundred years. But multi-storey wooden structures have not been so common. In North America, 80 to 90 percent of all multi-storey buildings are constructed of wood and can have up to seven floors. One reason for the difference is that Sweden has prohibited building wooden structures over two floors for fire and safety reasons. This ban was introduced in 1874 after a large number of urban fires and repealed in 1994. Traditions and know-how disappeared during this time. “We want to change this. 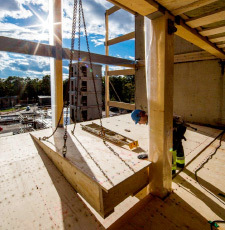 When we saw that the demand for wood constructions was growing we launched the Trä8 system in 2009,” said Fredrik Ingmarsson, Project Manager at Moelven Töreboda. The Trä8 construction system was developed in 2007 together with Moeleven Töreboda and the Lulea University of Technology. 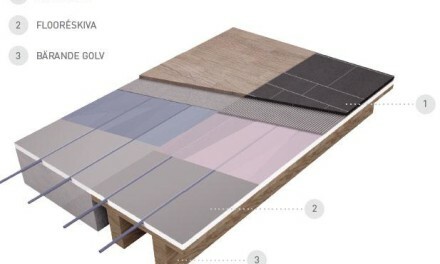 The system is basically a laminated pillar and beam glulam construction with floor and ceiling baring elements made of glulam together with Kerto, a material known for its good strength, advanced load baring and stiffness properties. Stabilization and frame supplements are achieved by using glulam, Kerto, solid wood, steel or concrete (stairwells and elevator shafts) where the smartest solution for each purpose is prioritized. “We reached our goal to develop an open system with as high a degree of processing as possible, thus creating an efficient construction method. The choice of wood satisfied the increased environmental demands of the market. A positive side effect for the contractor is that Trä8 offers a very pleasant working place environment, and that total shipments are reduced and smaller,” said Ingmarsson. “Trä8 is environmentally beneficial, has good fire resistant properties and transports are minimized due to its low weight. The possibilities of glulam, Kerto and solid wood building technologies are limitless and optimize the technical and environmental properties of wood. The lean manufacturing process is based on Swedish spruce and an eco-friendly glue,” continued Ingmarsson. “We have completed a number of interesting projects with Trä8 and more are coming. Building big and tall wooden structures often involves large volumes of material. In this area, Moelven Töreboda has established itself as a reliable supplier of both solid timber (CLT) and glulam. 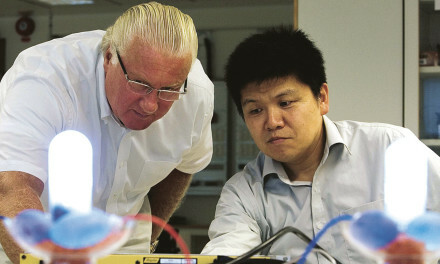 Following are some examples of exciting projects,” said Ingmarsson. The Växjö municipality with its ‘greenest city’ slogan has long been successful in building with wood. Moelven Töreboda has completed several projects in the city. The most relevant are three residential buildings in the Vallen North area, two of which are nine-storey high built atop concrete foundations. The third house, a five-storey wooden house, will bring the total number of apartments to 60 ready for occupancy in the autumn of 2015 (see picture). Another example of high and large wooden houses is the Herresta School in Järfälla. On the approximately 10,000 square meter grounds, the school will accommodate classrooms and additional facilities for the general public and local associations. Herresta School will be first and the largest school built of solid wood earning it a Gold environmental certification. This is based on Swedish construction practices and government regulations and administered by the Sweden Green Building Council. The six-storey houses at Askim Square in Gothenburg have about 65 tenants and are designed by Arkitekthuset in Jönköping and built with Trä8. The Askim houses were built on top of two existing foundations with basement garages. Thanks to the choice of material, the houses could be built without extensive ground reinforcements, saving both time and money, and enabling tenants to quickly move in. “We must continue our work to make wood a natural choice for builders and architects. We have come a long way and now feel that wood is a serious challenger to the traditional ways of building tall buildings,” concluded Ingmarsson.